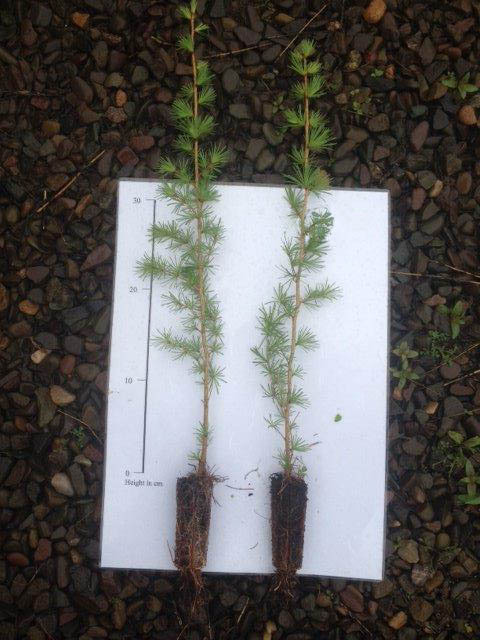 Buy Hybrid Larch Tree (Larix x eurolepis) online from UK fir tree supplier of cell grown hedges and trees. 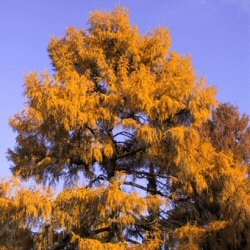 Hybrid Larch (Larix x eurolepis) has as its parents the European Larch and Japanese Larch. The first trees were raised at Dunkeld in Perthshire, Scotland around 1900. An important commercial forestry species in Britain, in is somewhat faster-growing than either parent. Attractive autumn colours make this a tree suitable for a large garden. Expect a final height of 32m (107ft). Typically, Hybrid Larch may be planted as an individual tree or as an avenue of trees. Estate and Policy Woodland plantings from the 18th Century often found this tree planted along with other non-native, exotic conifer species. Today, 150 years later these trees form an amazing sight and we think that this tree worthy of planting to achieve the same effect for future generations.